After a month without significant downtime or hitches, all seems right in the world, or at least your facility – until the energy bill comes in thousands of dollars above the norm. Many manufacturers budget for unforeseen costs, but the penalty from a utility company for demanding too much power from the grid during peak hours can be incredibly harsh on the bottom line. 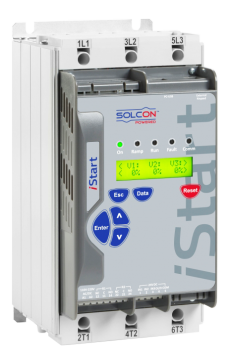 When motors start malfunctioning the next month from mechanical stress or product starts getting damaged from rough movement through the conveyor line, you may need a soft starter. Optical encoders are useful in many industrial processes, from angle detection to the positioning of precision components. In most applications, standard encoders are suited well enough to do their job effectively. But in certain industries and environments, standard encoders have a rough time performing well and resisting failure. This failure can be caused by particulates, chemicals, excessive loads, and immersion in liquids. What do stadiums and steel mills have in common, other than Pittsburgh pride? Both traditionally use Motor Control Centers (MCC), an automation technology that has deep roots in many manufacturing industries. MCCs are an assembly of one or more enclosed sections having a common horizontal main power bus and factory assembled motor control units or buckets which are connected to a vertical bus. Historically motor control centers were an assembly of numerous motor starters or feeder breakers used to control individual motors. Today they can incorporate variable frequency drives, soft starters, solid state/digital control devices, PLCs, HMIs and contain network communication protocols such as profibus, profinet or ethernet. What is a servo motor, and what are they used for? A servo drive system breaks down into two main components: the servo motor and a servo drive. 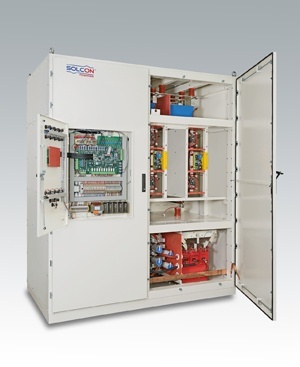 The servo drive converts electrical power from the connected line supply in a controlled manner into power for the motor. The servo drive consists of power electronics and control electronics for regulation, set point generation, and component monitoring. The servo motor converts the electrical power into movement. It consists of torque generating components, the sensor for angle and feedback and, in some cases, a holding brake to maintain position at zero current. Generally, the operation of servo motors is characterized by frequent changes in speed and torque, operation at standstill to hold positions, and short-term operation with high overloads. To understand the advantages of a servo motor, let's consider the inner workings: construction, operating characteristics, sensors, and brakes. Does every inch count in your control cabinet? Then look no further than Siemens Sirius 3RM1 hybrid motor starter. This motor starter can reduce space requirements in the control cabinet by up to 82 percent, while still providing integrated overload protection for smaller motors. The SIRIUS 3RM1 combines the functionality of contractors and overload relays in a width of just 22.5mm.